July 19th is National Hot Dog Day! The hot dog has become iconic in US culture. 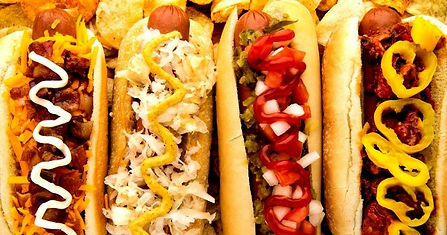 Like us Americans, hot dogs are derived from a conglomerate of parts. However, when these parts are combined, it creates an amazing and flavorful meal that is a staple of households worldwide. In fact, in 2016 alone, “consumers spent more than $2.4 billion on hot dogs in U.S. supermarkets" according to according to the National Hot Dog and Sausage Council (NHDSC). This figure does not include school cafeterias, hot dog stands, restaurants, or Baseball stadiums where 19.4 million hot dogs were sold in the 2016 season alone. Originally known as dachshund sausages or frankfurters, the hot dog was created by Johann Georghehner in Coburg, Germany and came to the U.S. with an influx of immigrants looking to put down roots in America. Soon dachshund sausages were sold by push cart in the streets of New York. In 1893, hot dogs became associated with baseball parks due to being popularized by the German owner of the St. Louis Browns major league baseball team. The practice soon spread throughout baseball stadiums in the country and now is traditionally associated with the greatest American sport of all time. 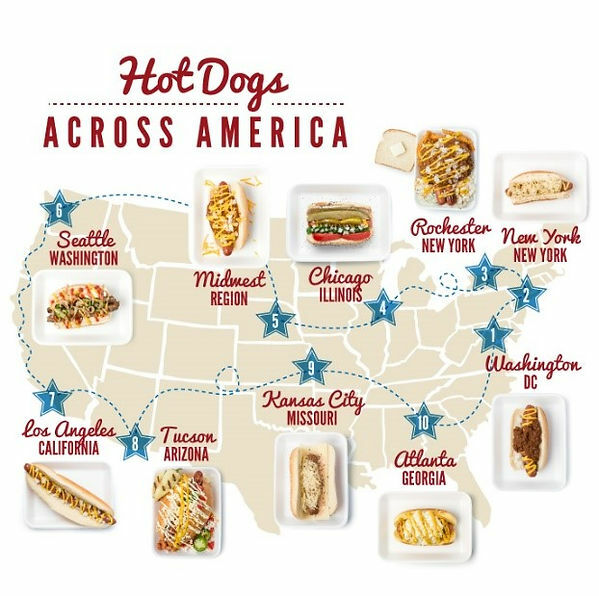 Just like loyalties in baseball spread across regions, loyalty to hometown hot dog styles is a topic of much controversy across the nation. The tradition is diverse. 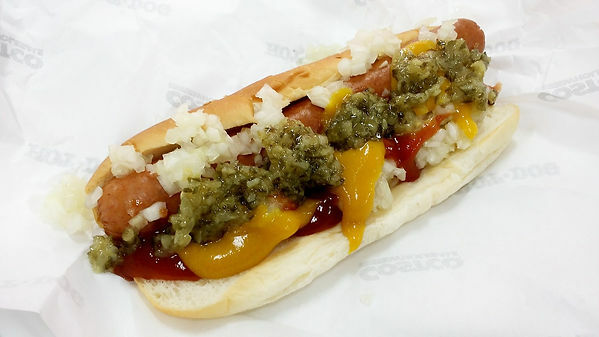 You can find anything from Caribou hot dogs in Alaska to a simple New York City Dog with steamed onions and mustard. While each region of American enjoys their dogs in unique ways. This staple of American culture is a light and friendly topic for debate among most and draws conversation from our differences. As a nation, the hot dog has served to join us together and celebrate the differences in culture across America. While hot dog ingredients are a topic of much debate with a list of horror stories that might possibly be found in your next pack, the make-up and labeling of hotdogs is not something to fear. “So the hot dog doesn’t… contain connective tissue. It is connective tissue binding us to one another, at ballparks in particular, where their consumption has become almost compulsory” says Sports Illustrated. 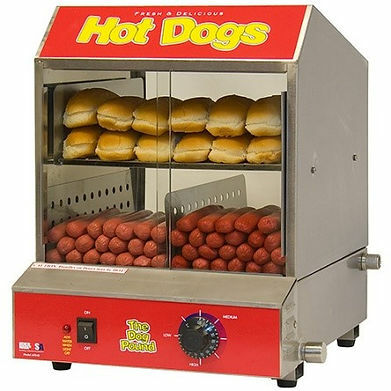 While it has not been proven beyond a shadow of a doubt that hot dogs contain connective tissue, it is certain that the hot dog has connected Americans in a way that no other food can match. What about you? Do you enjoy an occasional dog? If so, do you have a preferred way of preparation? (note: our marketing person says Chicago dogs only...never catsup! )Thanks for reading, and please share!